Our physician team arrived to Beirut from all over the US, a little apprehensive and anxious about what was to come. 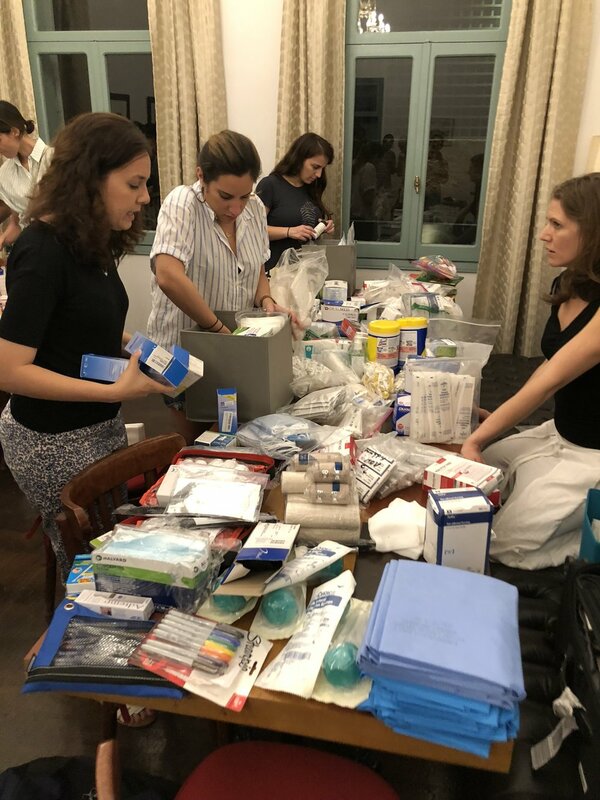 We had a brief orientation the night before and packed our doctor bags of medical supplies and equipment. In the morning, we set up our clinics in unairconditioned tents which were refugees’ homes donated to us for the day. We began sweating profusely, with temperatures over 100F and intermittent electricity. Our empathy was multiplied as 4 teams of physicians and interpreters strived in the heat to help the lineup of patients who presented themselves. Some phenomena traverse all borders. For example, five minutes before our clinic was to close, in came a 45 year old woman with a one-day history of anginal chest pain. Her BP was 180/120, maybe partly due to the antics of her four children. No ECG or troponin was available. With fine toxicology logic, one of our doctors quickly mobilized aspirin, only to have the patient refuse. She was suspicious of what it was so…… our doc swallowed one right in front of her….and then the patient did too. We don’t know if we were able to fully alleviate her suspicions, but we hope that she’s okay for now. Her case typifies some of the complexities – but at least we all feel good about DOING something. On our first day, the team saw 194 patients (104 pediatrics). In subsequent posts, we’ll tell you more about some of the diagnoses and situations.